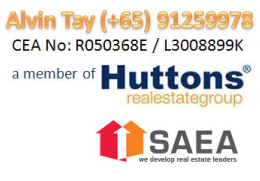 [/vc_column_text][vc_column_text]Located between the Serangoon Interchange and Kovan MRT Station, One Surin presents unique transportation options in a landed community. Stroll down to the NEX megamall for a movie; do your supermarket shopping, or pop out for a meal. Catch the bus or MRT to your school or place of work. Cycle with the kids to the park. Or take your car. Walk, cycle, or drive, the choice is yours! Each unit comes with two parking lots of private covered parking. One Surin sits on the former Tan Moh Hong Reptile Skin and Crocodile Farm. The historic site manages to retain its serene charm, in spite of the rapid urbanization of its surroundings. Once home, owners will enjoy a refreshing respite from the city beyond its gates. The design seeks to recreate the feeling of a true community set amidst this suburban gateway. A continuous waterscape runs through the heart of the development, weaving together the many thematic gardens and facilities around the site, and enveloping the community with the soothing sound of cascading waters. Working with a palate of light, water and the rich texture from natural materials, the elements are blended into a work of architecture. Reasons Why The Kingsford Waterbay? Located within the established town of Hougang, great amenities for both families and individuals are easily within walking distance. Lots of education institution surrounding the project, from primary school up to Junior College. Renowned ones like Montfort Junior school and Serangoon Junior College. Reputable developer with many years experience. Easy access to various shopping, dining and entertainment mall such as Seletar Mall, or Punggol Waterway.